Chiquitita Sheet Music performed by Abba, is one of the single most sold in the history of Latin America. It was composed by Benny and Bjorn and recorded on December 14, 1978 and published on 16 January 1979 in English, and April 1, 1979 in Spanish. It gained wide acceptance in Hispanic countries, and has become popular song. Due to the success of Chiquitita, ABBA recorded Spanish versions of several songs. 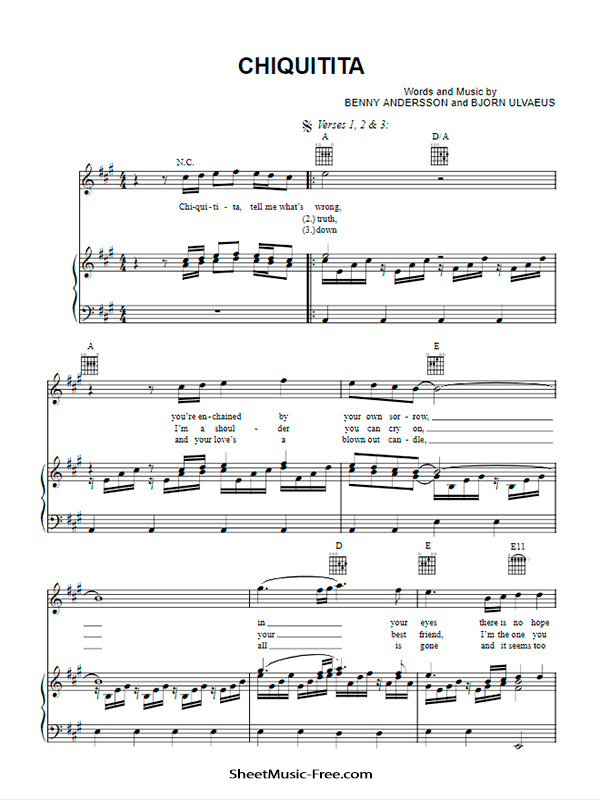 Abba Chiquitita Sheet Music Download PDF from this page, you will see download link under the picture.